Sometimes there isn’t really much to get excited about in January. You’re in the post-holiday slump and the days have turned cold, dreary, and dank. That makes it the perfect time to grab some friends and go for some comforting warmth and togetherness over some hot tea. Which is exactly what we did. 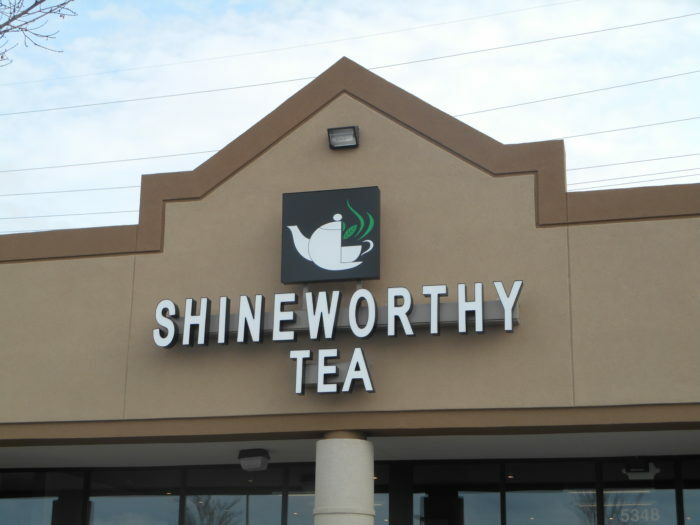 We went to Shineworthy Tea in Antioch, TN just South of Nashville right off of I-24. 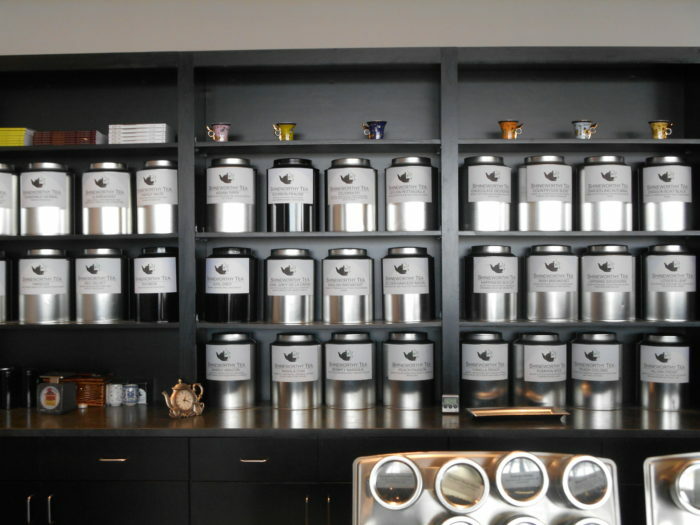 The first thing you see when you walk in the door is the wall of tea canisters filled with quite a selection of loose leaf teas. As you turn and look around the basic open room you might feel the inviting, easy warmth like I did. I meandered around and looked at their teas and assortment of teapots, cups & saucers, books and such. 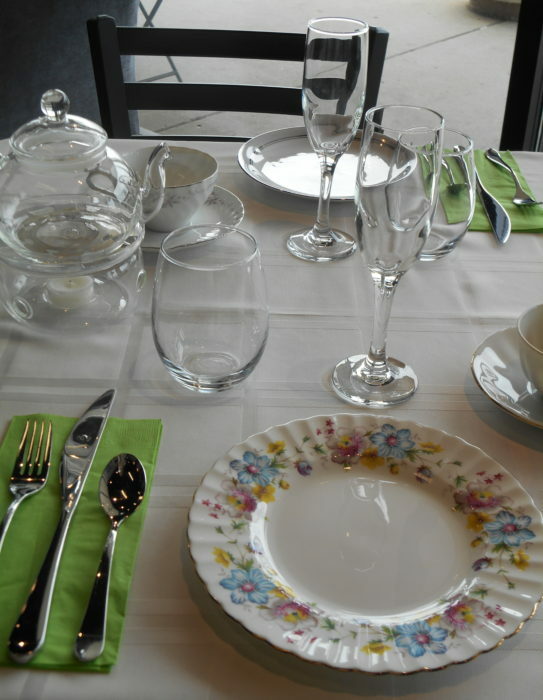 This is a lovely table setting waiting on… you? The owner was teaching a class while we were there. 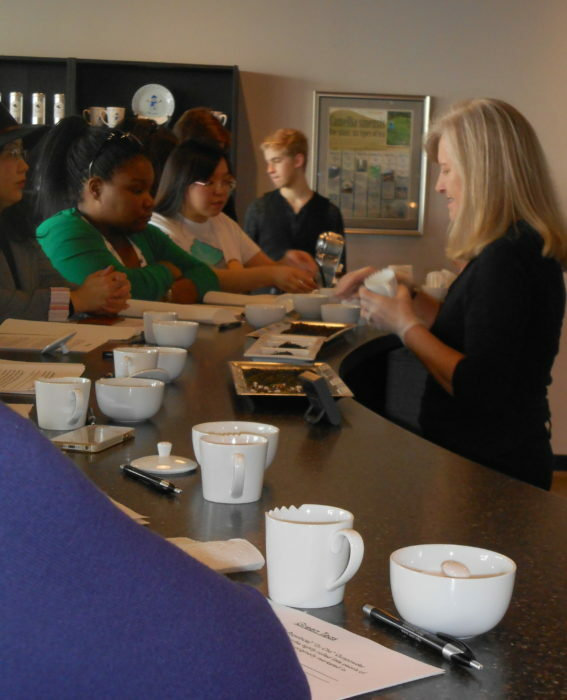 We learned that they hold it on Saturdays for $20 per person for a 2 hour class. Not bad. It’s by reservation only and typically sells out, they said; so best to plan ahead if you’re going. It looks like fun, doesn’t it? I am definitely interested in going back to see what it’s all about. If I do I’ll let you know. We settled in to a pair of couches at a low table and relaxed for a spell. Such good discussions but what happens around the teapot stays around the teapot. Peach Passion – a stout black tea with a distinct peach aroma but not as strong of a peach flavor. Perfect Harmony – a combination of green tea, oolong, jasmine and rose petals. It was a full bodied floral, slightly fruity tea with a smooth finish. This “black label” tea was our favorite! Raspberry Champagne – white tea and safflowers with champagne and raspberry flavors added in. Note: it’s not actual champagne just champagne flavor. I had my hopes up for just a second but they quite clearly state on the menu that it’s non-alcoholic. We had the Raspberry Champagne Tea both hot and cold. The chilled tea is served in a champagne glass which was nice and made it special but it’s still, sadly, not champagne. They might do themselves a favor and quit making their customers wish they had some champagne! Anyway, back to the tea. It was good. 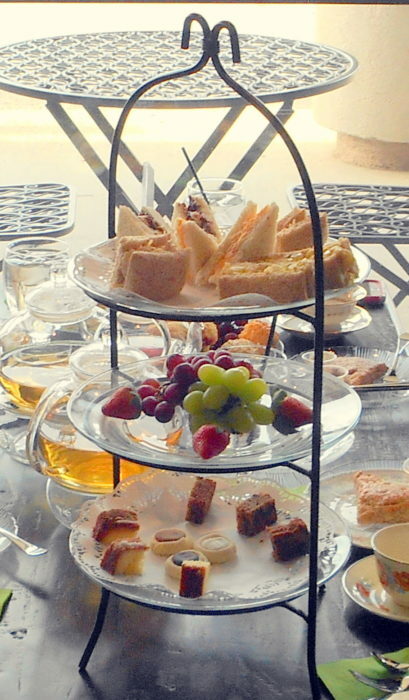 I ordered their Afternoon Tea which came out on this three tiered server and had your basic traditional finger sandwiches of egg salad, chicken salad, pimiento cheese, and an interesting nutella and banana sandwich. They had tasty little treats for dessert consisting of little slices of lemon cake, chocolate chip banana bread and thumbprint cookies. These cookies and the frosting were dry. Overall it was fine, but way overpriced at $29.95. Holy moly! Compare to the tea we had at the Peabody. You get so much more for the same $30. ($40 with real champagne!) Especially when you consider the grapes and strawberries that seemed like filler. 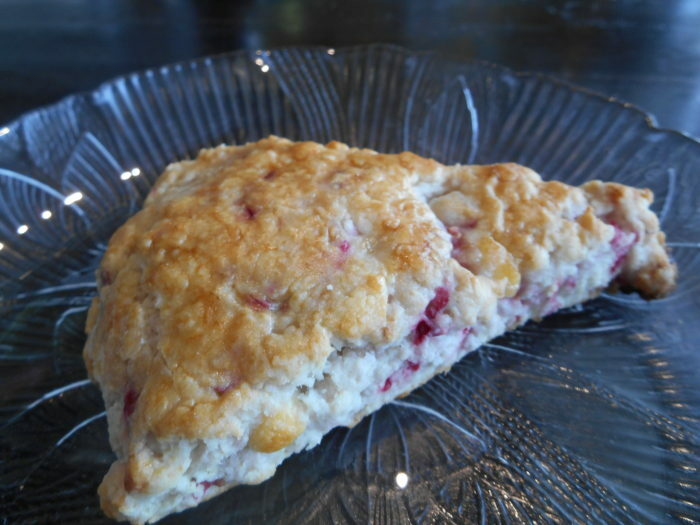 I also ordered a raspberry white chocolate scone. It was moist and tasty but was also overpriced at $4. I do want to say that the servers were knowledgeable and helpful. When we were dithering between choices they offered to let us smell the teas in the canisters to help us make our decisions. 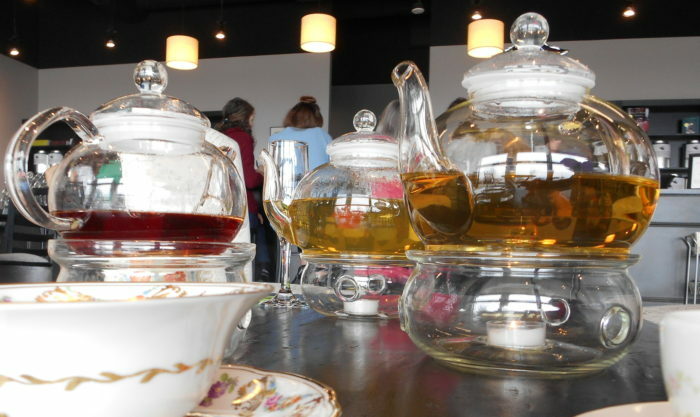 My recommendation is to go and hang out, enjoy the lovely teas and perhaps just get yourself a sandwich or chicken salad plate for a much more reasonable $15 or less and skip the Afternoon Tea. You will have a nice lunch and a good pot of tea.